Aron standing in Howard's men's clothing store (named for his eldest son) at 9125 Commercial Avenue in Chicago. 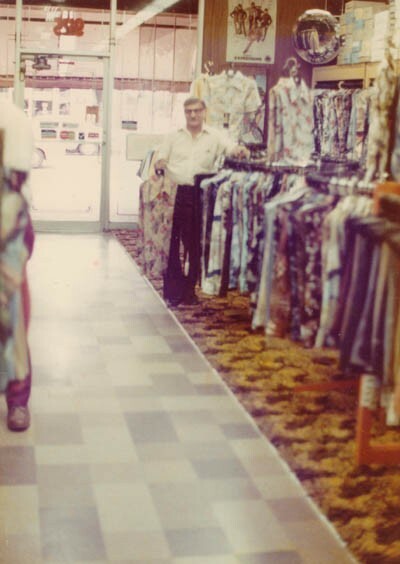 He opened the store in 1949 and owned it for 30 years. Chicago, Illinois, early 1970s.